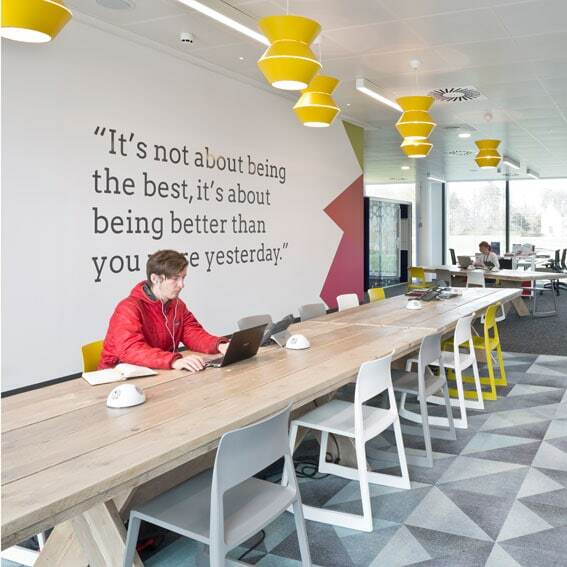 A new entrepreneurial centre, E-Spark, has been hatched at RBS's global HQ in Edinburgh. 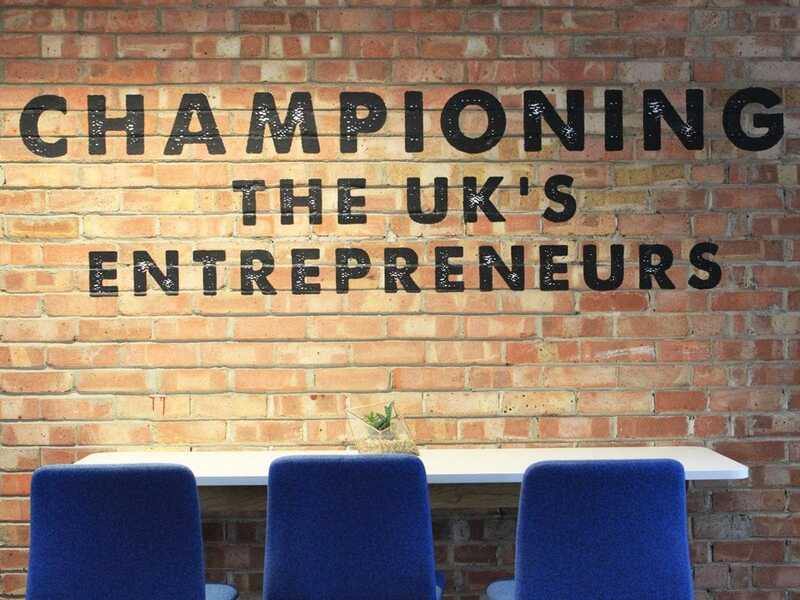 Run by Entrepreneurial Spark the ‘hatchery’ will offer free office facilities for up to 80 businesses every six months. Participants will be able to collaborate with support organisations, as well as RBS staff. Start-ups in the hatchery will be based next to the bank’s new centre of innovation, Open Experience, where experts are designing and testing new banking technologies. 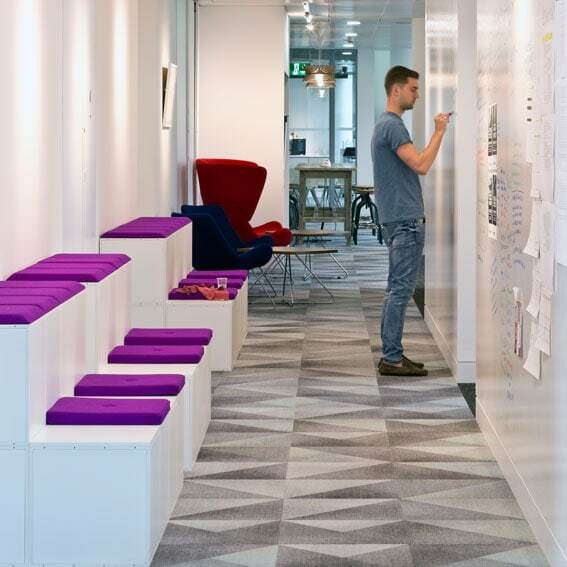 LOM developed the concepts for both E-Spark and Open Experience as part of the strategic brief for the transformation of the entire 35,000sqm Gogarburn HQ. 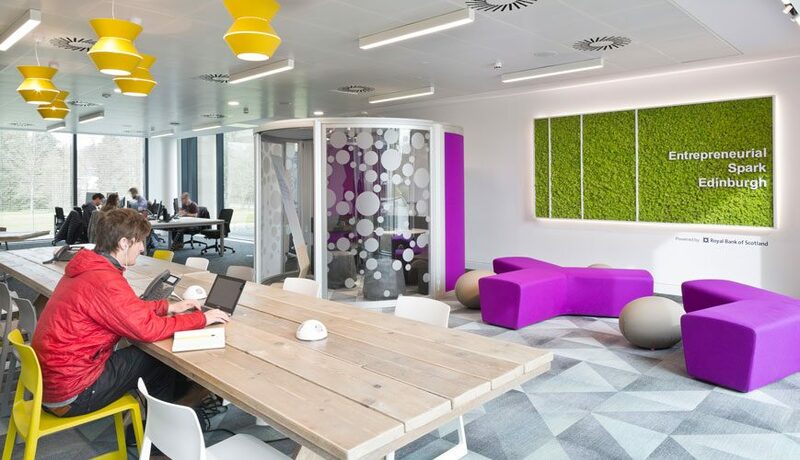 E-Spark is a fully equipped open plan workplace that provides multiple team settings for varying scales of business. 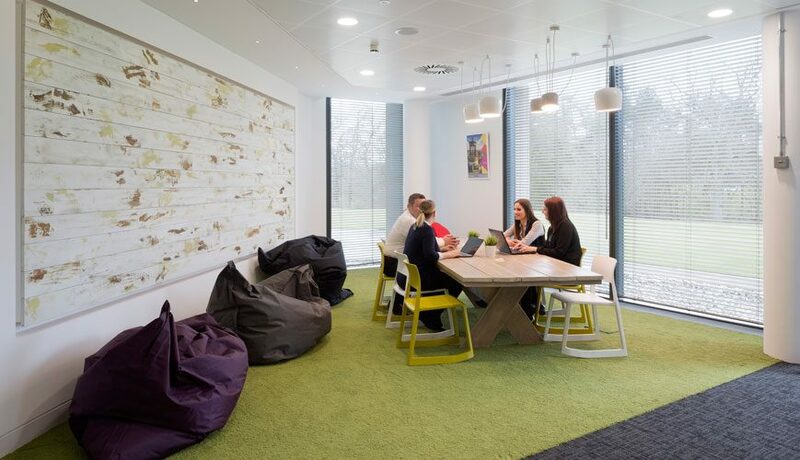 It accommodates BYOD plug-in to provide flexible collaborative working scenarios – workshop, cove and jump space. RBS described the new venture as “an ecosystem of entrepreneurship and innovation”. The delivery of E-Spark has been a collaborative project combining the creativity of designers north and south of the border (LOM and MLA).